NASHVILLE, Tennessee, November 19, 2014 /3BL Media/ - The Global Action Platform announced today that Mars, Incorporated has been awarded with the first-of-its-kind “Global Shared Value Award” at the third annual Global Action Summit in Nashville. Mars, Incorporated Board Member, Stephen Badger, received the award on behalf of the company, presented by Dr. Fareed Zakaria CNN host and moderator of the Summit. As well as the almost 70,000 hours donated by Mars Associates to volunteering projects around the world through the Mars Ambassador and Mars Volunteer Programs. The Global Action Summit and Global Shared Value Award ceremony convened 400 world leaders representing the cross-sectors of corporate, university research, finance, media, NGO’s, policy-makers, thought leaders, entrepreneurs and summit fellows from major research universities in order to advance food, health, and economic innovations. Howard Yana-Shapiro, Chief Agricultural Officer at Mars, Incorporated hosted a panel session at the Global Action Summit entitled ‘The Freedom Principle: Stories from Mars’. Panel members included Harold Schmitz, Chief Science Officer at Mars, Incorporated and guests Justin Bakule, Executive Director, Shared Value Initiative and Carl Keen, Professor of Internal Medicine and UC Davis. 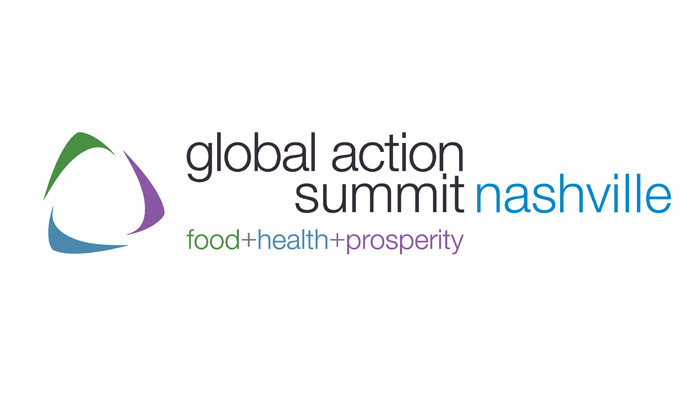 The Global Action Summit – Nashville is one of the most dynamic, agile, innovative and fastest growing forums for today’s global leaders. Each November, in Nashville, Tennessee, the Summit convenes top senior level decision makers, leaders and student fellows from around the world with a distinctive focus on innovation to create abundance of food, health and prosperity. As the keystone of the Cumberland Center’s convening activities, the Summit is a neutral forum without bias. The Summit builds on the idea that business is the economic engine of global prosperity and innovation. The Cumberland Center combines this economic engine with the research culture of universities to create a trusted, inclusive framework for action through the Global Action Platform. Mars brands include: Petcare – PEDIGREE®, ROYAL CANIN®, WHISKAS®, BANFIELD® Pet Hospital, CESAR®, SHEBA®, DREAMIES® and NUTRO®; Chocolate – M&M’S®, SNICKERS®, DOVE®, GALAXY®, MARS®, MILKY WAY® and TWIX®; Wrigley – DOUBLEMINT®, EXTRA®, ORBIT® and 5™ chewing gums, SKITTLES® and STARBURST® candies, and ALTOIDS® AND LIFESAVERS® mints. Food – UNCLE BEN’S®, DOLMIO®, EBLY®, MASTERFOODS®, SEEDS OF CHANGE® and ROYCO®; Drinks – ALTERRA COFFEE ROASTERS™, THE BRIGHT TEA COMPANY™, KLIX® and FLAVIA®; Symbioscience – COCOAVIA® and WISDOM PANEL®. The Shared Value Award is an original work of art commissioned by the Global Action Platform and created by Tennessee sculptor William Kooienga. The work represents the world as a globe carved with flowing organic forms symbolizing the interlocking forces of shared value and subtly integrating the logo of the Global Action Platform among the forms. The sculpture is in wood, with the globe carved from the trunk of a 200 year old wild cherry and the base is hewn from black walnut, both reclaimed from south central Tennessee. Each year, the Shared Value sculpture consisting of a globe cared with organic forms on a wood base will be recreated in a different type of reclaimed wood to assure both continuity of design and unique material to make each award a singular work of art.